Why buy a new build for your retirement years? Retirement should be about relaxing and enjoying the time off that you have worked so hard to achieve. So why take the hard route when selecting your new home. Whether you fancy a rural retreat or a bustling town, at Your Move we are able to offer you lots of locations around the country. The importance of an age-friendly environment (55+) is so important when looking for the perfect retirement home; it has to be somewhere where you feel safe and where you can walk around. Safe and accessible communal areas and buildings are essential for meeting like minded people. Green spaces and local amenities (local shops, doctors, pharmacies, post office and grocery stores) are important to safe guard your independence and to encourage an active life. Here are some of our top tips to help you make the right choice, first time. If you are moving to be closer to friends or relatives remember that you may also be spending more time at home. Therefore, make sure you have visited: the local area, the development, parks and leisure facilities. All of which are particularly useful when helping with the grandchildren. The nicest ones are within attractive market towns, close to shops, doctor’s surgeries and banks. The facilities on offer vary depending on your individual needs and whether you are looking to buy a property in a top-end retirement village, a cottage, an apartment in a small complex or a rented flat in a retirement-designated block. Whatever your choice, all boast the benefits you would expect of any New Build property; energy efficient, modern appliances and spacious living. Your safety and security is well taken care of too, through extra security systems like: video entry, fire & smoke alarms and alarm cords. All, tastefully, designed with your safety and wellbeing in mind. Although you may not feel you need it, some villages have 24-hour care staff while others simply have daytime wardens, who are on hand to help with even the simplest tasks, like watering plants while you are on holiday. Whichever property you choose you will live independently in a self-contained apartment or house. Offering you the peace of mind, and flexibility, to come and go as you please. Some developments offer communal facilities, ranging from beautifully maintained gardens, allotments, Doctor’s surgery, laundry and hairdressers. However, whilst the developers try and cater for everything, it is always best to check the policy on pets, before you decide. New Homes are also designed according to your own, individual level of care requirements. However, please be aware that the higher the level of care required, the higher the service charges, therefore work out what really is important to you and your budget. Retirement apartments and houses are Ideal for those people, 55 years young and over, who are looking for an independent lifestyle yet never too far away from friends or family. 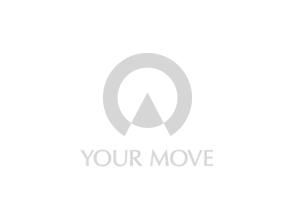 At Your Move, we can help. Not only by valuing your existing property, but will also support you through your choice of new retirement home. Let us, find the perfect home for you.